Buy with an account and earn 77 loyalty points. Your cart will total 77 points worth $7.70 for future use. 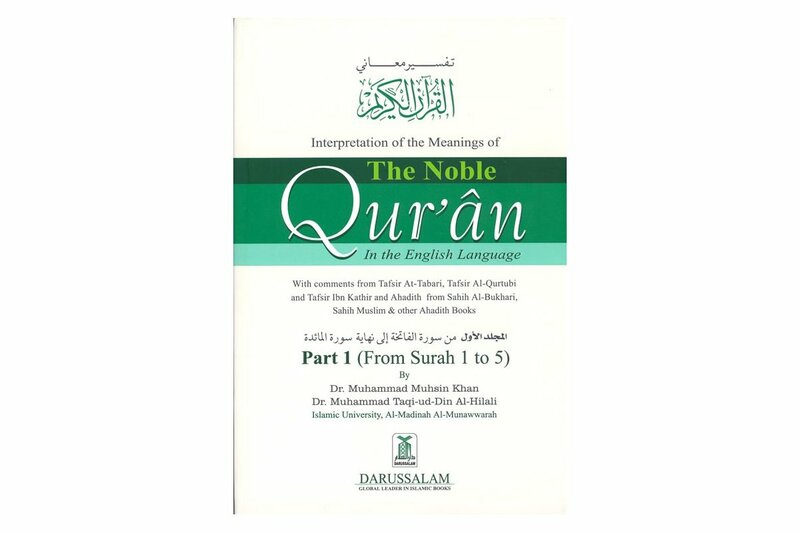 Interpretation of the meanings of The Noble Quran with Arabic text in the modern English language. It is unique, remarkable and distinguished for its crystal clear, precise and pristine meanings. 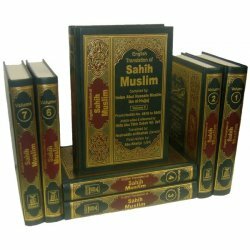 The meanings are fully elaborated and explained by Tafsir At-Tabari, Al-Qurtubi and Ibn Kathir and Ahadith from Sahih Al-Bukhari & Muslim. 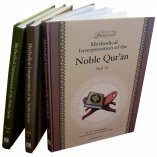 The work is recognized, approved and widely attributed throughout the world as the most accurate, exact, authentic, real and original interpretation of the Noble Qur'an. 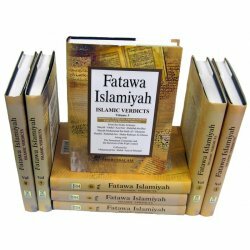 This 9 volume version offers commentary and complete hadith in Arabic and English related to the verse. 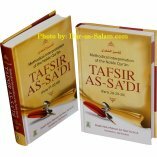 This unique combination of commentary and relevant Ahadith makes this a very useful study reference tool. The Arabic text is taken from Mushaf al-Madinah. The printing is very crisp and clear like all of Dar-us-Salam's books. All the praises and thanks are to Allah, the Lord of Al-'Alamin (mankind, jinn and all that exists) and peace be upon the Master of the Messengers, Muhammad. 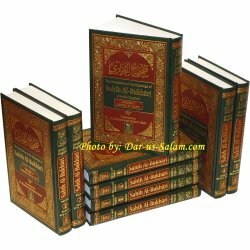 The Arabic text of the Noble Qur'an has been taken from Mushaf Al-Madinah An-Nabawiiyah, which has been printed by the Mujamma' of King Fahd of Saudi Arabia for the printing of Al-Mushaf Ash-Sharif, in the year 1405 A .H., according to the instructions of the Vice-Chancellor of the Islamic University, instead of the old Arabic text of the previous print of this book which was printed in the United States, Pakistan and Turkey, by the Turkish Calligrapher Sheikh Hamid Al-Amadi. 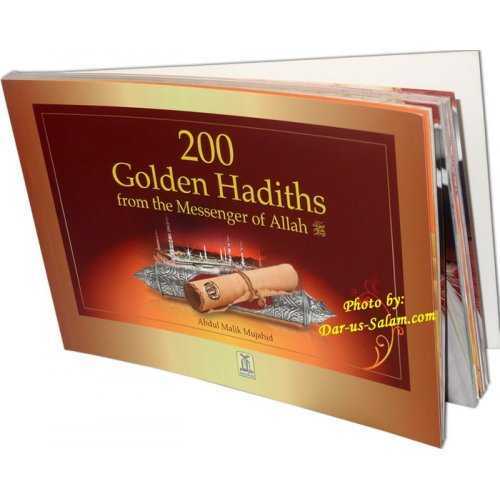 There are some additions and subtractions of Chapters and Ahadith from Sahih AI-Bukhari and other Ahadith collections. As regards the old edition of this Book, nobody is allowed to reprint or to reproduce it after this new edition has been published. This new edition is in two forms-one in a detailed form (in 9 volumes), and the other in a summarized form (in 1 volume). Islam is the Divine religion for all people on the earth. It is a valuable treasure if they realize its truth. 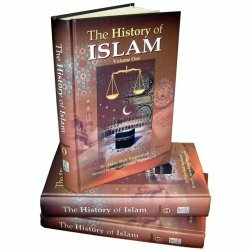 What the whole world needs most today is to understand and study its original sources: the Qur'an and Sunnah, as only Islam can extinguish people's thirst for their knowledge about their Creator; organize their mutual relations on the basis of justice and equality; and respond to human nature in a way that will lead them to happiness in the world as well as in the Hereafter. How many trials and wars are people undergoing due to their differences in beliefs and systems which have caused them to split in utter separation. Now there is no way to peace and security except Islam. Therefore, an invitation to Islam is a duty of those who have known it, enjoyed its taste and have been rightly guided by it. In fact, it is a great responsibility upon Muslims to preach the teachings of Islam to the non-Muslims in their own languages. Dr. Muhammad Muhsin Khan, a specialist in heart diseases who worked for some time in England, then moved to Saudi Arabia to settle in Al-Madinah AI-Munawwarah, realized his responsibility towards Islam. This was owed to a dream he had one night. According to the dream, he saw the Prophet in a large gathering of people. Out of love, he stepped towards him to kiss his knees; but the Prophet disapproved it. Suddenly, the perspiration began to flow from his body and Muhsin Khan drank it to his satisfaction. Then the Prophet asked him for a paper on which he wrote down that he wanted him (to serve Islam) and stamped it with his seal. When Muhsin Khan woke up, he was struck by a feeling of bewilderment, awe, and sublimity. He asked the knowledgeable persons to interpret his dream. They indicated that he would serve the Prophet's sayings. So, he looked for a project to serve Islam and convey its message to the English-speaking people. After much consideration, he concluded that Sahih of Imam Al-Bukhari, who is the most authentic collector of the Prophet's sayings, needs to be translated into English. So, he decided to render Sahih Al-Bukhari into English. He worked strenuously completing it in twelve years with the Grace of Allah. During the translation process, he consulted a number of English versions of the Qur'an but he found that they had ambiguity, shortcomings, and dogmatic errors. 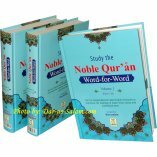 Therefore, in association with Dr. Muhammad Taqi-ud-Din Al-Hilali, he undertook the task of interpretation of the meanings of the Noble Qur'an providing evidence from the authentic sources for clarification. 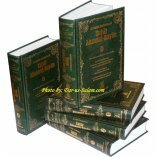 At their behest, we brought about a summarized edition in one volume. 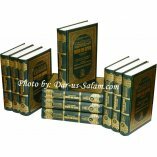 Its popularity among the readers encouraged them to prepare a comprehensive version of the interpretation of the meanings of the Qur'an in nine volumes comprising a number of Ahadith from Sahih Al-Bukhari, Sahih Muslim and other books with comments from Tafsir At-Tabari, Tafsir AI-Qurtubi and Tafsir Ibn Kathir, where necessary to elaborate upon the Qur'anic Verses. 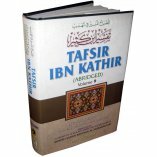 No doubt this work is a great source of knowledge for the readers, seekers of truth and the scholars. 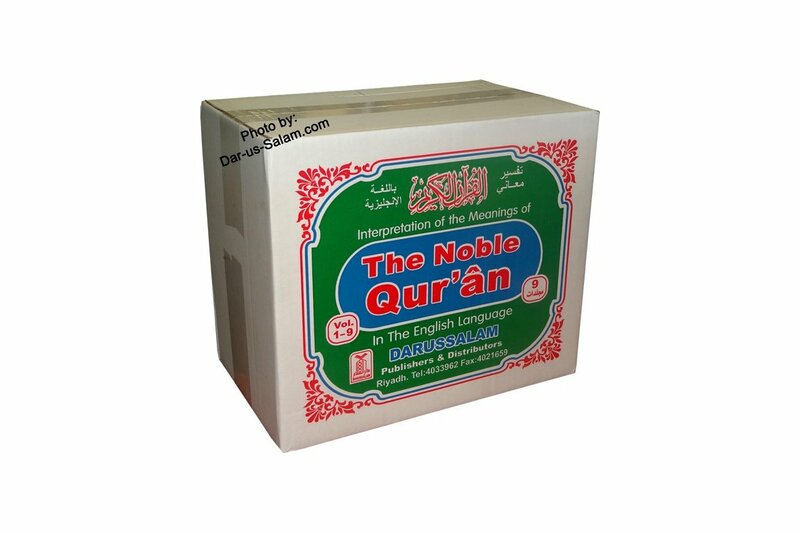 Now, they can study the Qur'an in a better way and concentrate on the wisdom behind it. 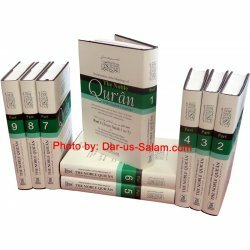 In this nine-volume edition, the reader will find that the statements on Monotheism, Disbelief, Polytheism, Hypocrisy and Jihad have been repeated several times. This is to highlight the significance of the Islamic creed. Also, some Ahadith has been repeated at various places due to their relevancy and close context with the Verses. Therefore, such repetition has become an unavoidable need for the correct interpretation. Finally, I wish to express my thanks to the translators for their kind permission to bring about this work for the benefit of the people. I am also grateful to my staff members, particularly Syed Masoodul Hasan, Mr. Mohammad Munawwar and Mr. Mohammad Ayub who made their best efforts to check and reuse the text carefully and repeatedly to avoid any mistakes; and thus contributed substantially to give the final touch to the project. May Allah the Almighty reward us for this achievement, make it solely for His Pleasure and hold us firm on the Right Path. May Allah shower peace and blessings on our Prophet Muhammad, his family, Companions and all those who follow him. General Manager Darussalam Publishers and Distributors, Riyadh. Maurice S. on 06/12/2017 Excellent product. Thanks for your prompt service! Customer R. on 12/01/2008 MashAllah this is a great translation. The layout of the commentary takes a little getting used to but mashAllah it has additional info than what you will find in tafsir ibn kathir so Insha-Allah both are worth getting. This is has more hadith for the ayah and less commentary then ibn kathir. Customer R. on 12/22/2011 Allahu Akbar! This set is nearly perfect. 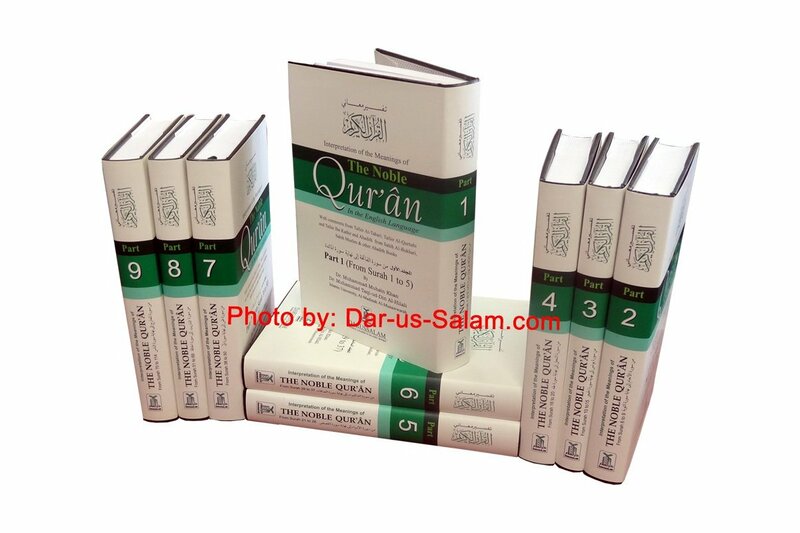 The bindings are all very tight and firm, the print is clear readable in both Arabic and English. 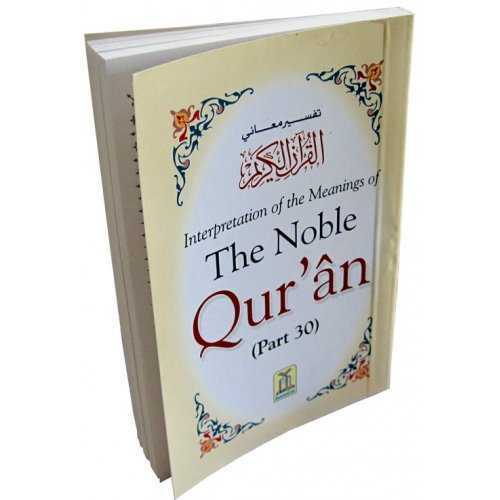 The Tafsir houses an invaluable collection of traditions that explain the Noble Quran as it is meant to be understood. A quality printing of a quality work, and a must have for anyone who seeks to better understand their faith and themselves.